After a short break, Samsung is now returning to its European rollout and has started by pushing the beefy Android 4.3 update to all its International Galaxy S III smartphones with the model number, GT-i9305. This much-anticipated update finally brings Android 4.3 Jelly Bean and support for the recently released Galaxy Gear smartwatch — which is designed to make receiving calls, texts and notifications on your handset a little easier to manage. 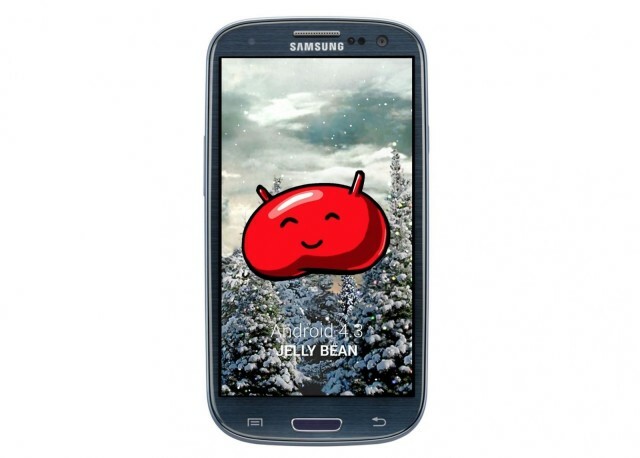 Reports have surfaced from all over Europe, predominantly Germany, notifying us that Galaxy S III owners have started to receive the Jelly Bean update. So, if you own an international version of the S III, it looks like this update will be making its way to you shortly. However, it’s important to bear in mind that this is a staged rollout, meaning that all countries within the European Union will receive the upgrade at different times. So if you’re located in France and have not received the update yet, but your friend in Germany has, don’t panic. It will be coming to you soon. The Galaxy S III was announced back in May, 2012, and went on sale shortly after its announcement. The handset packs a 4.8-inch Super AMOLED capacitive touchscreen, a 1.4GHz Cortex-A9 processor, a Mali-400MP GPU, 1GB of RAM, 16GB/32GB/64GB of internal storage (expandable up to 64GB via microSD), an 8-megapixel rear-facing camera and a 2,100 mAh battery. To see if your device is eligible for the update now, head into “Settings,” then “About Device,” and select “Check for Updates”. If a pop-up window doesn’t appear telling you to update, don’t worry. It means that the update is not ready to be pushed out to your device, just yet. But when it is available, you will receive a push notification prompting you to download and install the update. The post International Samsung Galaxy S III LTE Now Receiving Android 4.3 Update appeared first on Cult of Android.